Review blender brands Nutri Ninja, Kambrook, Nutribullet, Sunbeam, Kenwood, Breville, Homemaker and ALDI on their performance, consistency, ease of cleaning, ease of use, value for money and overall customer satisfaction. 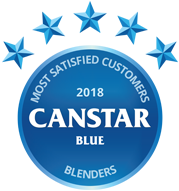 Nutri Ninja has topped Canstar Blue’s ratings for blenders, scoring five-star reviews on overall satisfaction, performance, consistency and ease of use. It was four stars for ease of cleaning and value for money. While the days of acai bowls and gourmet smoothies may have settled, our schedules are as busy and the world is as health conscious as before, making blenders an ever necessary staple of many kitchens. From protein shakes and veggie juices to purees and sauces, the small appliance is a versatile tool for any occasion and with many price points on offer, you won’t have to spend a fortune. Even the average blenders you can pick up from department store shelves boast outstanding power figures and usability, making chopping through fruit and vegetables in the morning a breeze. Whether you’re about to finally give in and join the bandwagon or looking to upgrade an old model, you’ve come to the right place! 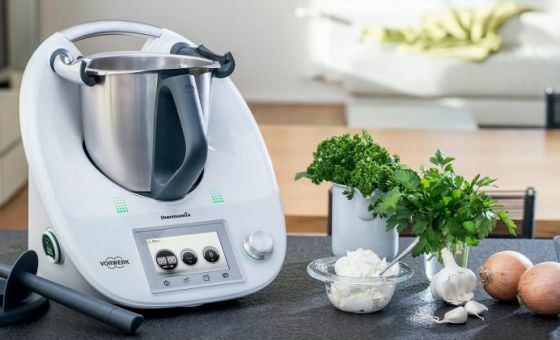 Kambrook, Nutribullet, Sunbeam, Kenwood and Breville received four stars apiece overall, while the cheap and cheerful brands – Kmart Homemaker and ALDI – scored three stars each. In two areas that Nutri Ninja lacked, Kambrook excelled – ease of cleaning and value for money. Kmart’s Homemaker blenders also rated five stars in terms of value for money, while Kenwood rated a creditable five stars for performance, along with this year’s winner. To help you decide which brand will be best for your blending needs, here is an overview of the eight in this year’s review. As a previous blender winner in 2015 and 2016, Nutri Ninja has chopped back into top place, offering some exciting blenders and being arguably one of the brands that ignited the whole blender craze to start with. While its blenders were once only available through select sales channels, Nutri Ninja has now expanded to be featured in many appliance stores across Australia. 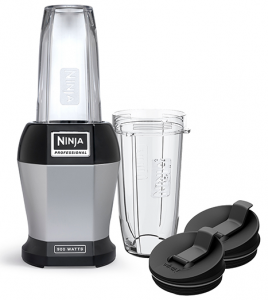 Nutri Ninjas boast ‘Auto IQ’ technology with easy blending, crushing and pause cycles. 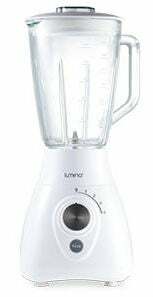 There is a fairly large range of blenders on offer, with motor powers ranging from about 900W for the basic smoothie blenders up to 1500W for the ‘Pro’ series. Prices range from around $100 for the bullet models, up to around $350 for the Auto IQ 1500W series. Nutri Ninja was rated five stars overall satisfaction, as well as for performance, consistency and ease of use. It was four stars in regards to ease of cleaning and value for money. Kambrook is generally seen as a trusted and fairly-priced small kitchen appliance brand. It produces a range of blenders that very rarely top the $100 price tag. In its range you’ll find bullet inspired blenders aimed for making short work of veggies. It also features ‘Blitz2Go’ drink bottle blenders for smoothies on the go, with 300W motors for easy blending of fruits. Its power-oriented models, on the other hand, feature 800W motors. 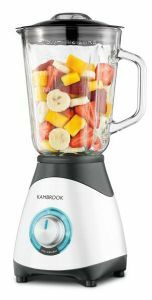 While you won’t find any ‘super-powerful’ blenders in Kambrook’s range, you will find reasonable prices and blenders that likely suit a large number of consumers. Kambrook was rated four stars for overall satisfaction and in most other categories, except for ease of cleaning and value for money where it achieved the maximum five stars. Another brand credited for igniting the nutrient blending craze, NutriBullet also made its name in TV infomercials. It claims to be the world’s original nutrient extractor and lays claim to the impressive ‘Rx’ blender, which boasts a 1700W motor and heat cycle functions for making soups. This is a blender not just for smoothies, but a range of meals where you’d normally need to pulverise veggies. The Rx hovers around the $350 mark, but NutriBullet does also have some cheaper blenders on offer if all you’re after is a blender for smoothies on the go – the NutriBullet 600 can be had for as little as $120. In 2018, NutriBullet was rated four stars for overall satisfaction and most other categories, but just three stars on value for money. Last year’s winner, Sunbeam produces a large range of blenders for all types of blending applications, with prices ranging from around $50 to $300. Fuelling the ‘grab n go’ blender craze, Sunbeam’s forte is its drink bottle blenders, which blend your food into a bottle for quick and easy transportation. Other more traditional blenders are available and the range is big enough that you can specialise in certain areas – soup making, ice crushing, maximum power and so on. The most expensive Cafe Series blender boasts a 2000W motor with a 2L blending capacity and pre-programmed controls. Drink bottle blenders come with two 600ml BPA Free bottles and a 300W motor – enough to chop through blueberries and other delicious smoothie foods. Sunbeam was a solid performer in our 2018 review, with four stars for overall satisfaction and all other research categories. You might be more familiar with Kenwood if you have bought a car stereo recently, but it also produces blenders. Kenwood’s food blenders feature trendy and intriguing names like ‘XTreme’ and ‘kMix’, with colour descriptions such as ‘Spicy Red’, ‘Mystic Purple’ and ‘Fresh Cream’. 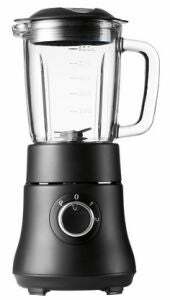 Prices range from about $220 for the most basic ‘kMix’ blender – good for making smoothies with basic functionality – up to around $700 for the premium ‘XTreme’ range, boasting 1600W motors and 2L jug capacities. Designed with six Helix Force blades, Kenwood’s Blend-Xtreme (BLP900BK) allows you to blend tough ingredients while retaining the nutrients and fibres, according to Kenwood. Kenwood rated four stars overall as well as for consistency and easy of use, but did rate five stars in arguably one of the most important areas – performance. It was three stars for ease of cleaning and value for money. Breville is generally seen as a premium option when it comes to blenders, as most of its range is priced at $100 or more, with many models exceeding $200. Expect sleek designs, high-power motors and easy-use functionality. There are no bright and colourful drink bottle blenders here. You’ll find stainless steel and black finishes, with serious blending in mind. The top dog in the range seems to be the popular ‘The Boss’ blender, which boasts an LCD screen, auto-clean function, 2L jug capacity, 12 speed settings and a powerful 2200W motor. It also sports a price tag of around $700. Breville was rated four stars for overall satisfaction and most other areas in 2018, but only rated three stars on value for money. If you’re a ‘Kmart Mum’, you’d have no doubt seen Kmart’s series of food blenders. Known to be the purveyor of ‘cheap and cheerful’ homewares, the Kmart Homemaker brand produces lots of different appliances, including toasters, kettles and yes – blenders. All of Kmart’s blenders can be found for under $50, with drink bottle blenders coming in at under $30. While you won’t get all the whizz bang features like with other brands, you will still get adequately-powered motors from around 300W up to 700W. Kmart Homemaker blenders were rated three stars for overall satisfaction, but did record five stars on value for money, proving that it’s not always a cheap price that woos Aussie shoppers. It was three stars on performance, consistency and ease of cleaning, while in the ease of use area, Kmart rated four stars. It’s really no surprise to see ALDI in this review, with the discount grocery chain permeating a swathe of our appliance ratings! While ALDI’s blenders are not available all the time, they do crop up from time to time as ‘Special Buys’. While not specifically ALDI-branded, ‘Ambiano’ blenders are sold exclusively in ALDI’s stores, with the brand boasting two key blenders – the high performance model and the rocket blender. The former boasts a 2000W motor with a massive 2L jug capacity, while the rocket blender is for smooth fanatics and brings a 410W motor. It also comes with a set of four mugs for easy smoothie storage. Another brand of blenders seen at ALDI is Lumina, featuring a 1.5L blender with a glass jug, four speed settings, plus a pulse mode. This model had a price tag of $19.99 in 2018. Rounding out this year’s ratings, ALDI received three stars in all research categories. 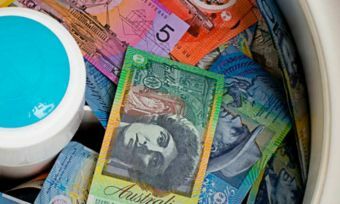 Our survey of Australian consumers found the average amount spent on new blenders is $141. Nutri Ninja owners spent more than the average ($193), which might suggest that consumers are happy to spend a little more for additional blending power. In any case, no matter how much you fork out, it’s going to be a waste of money if you don’t actually use your new blender! While many people buy blenders with the goal of a healthier diet or a positive change in their lives, a great proportion of them end up going unused. Two out of five (42%) survey respondents said they don’t use their blender as much as they thought they would, while a third (28%) admitted that their blender was an impulse purchase. So before spending $100+ on a blender, consider if you actually need or really want one. If you’re just buying a blender to fit in with the trend, you’ve probably bought a $100 paperweight. But if you can see yourself making smoothies, soups and juices, then it should be a worthwhile investment! It’s evident that Aussies have high expectations with blenders, perhaps because of all those infomercials promising the Earth! Nutri Ninja has proved to be the highest-rated brand in our review, but if you’re just making juices, protein shakes or smoothies, do you really need the bells and whistles? Whatever your decision is, we hope our ratings have provided a useful tool to help you decide which brand you should go with. Canstar Blue surveyed 3,000 Australian adults across a range of categories to measure and track customer satisfaction, via ISO 26362 accredited research panels managed by Qualtrics. The outcomes reported are the results from customers within the survey group who have purchased a new blender in the last 2 years – in this case, 689 people. Brands must have received at least 30 responses to be included. Results are comparative and it should be noted that brands receiving three stars have still achieved a satisfaction measure of at least six out of 10. Not all brands available in the market have been compared in this survey. The ratings table is first sorted by star ratings and then by mean satisfaction. A rated brand may receive a ‘N/A’ (Not Applicable) rating if it does not receive the minimum number of responses for that criteria. Thermomix: Is It Worth The Money? Your complete guide to the Thermomix. What can it do, what can’t it do? Is it worth the price tag? Read our review. 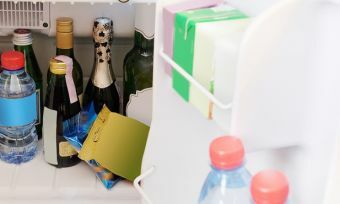 Canstar Blue compares top fridge brands to find the best bargains for this end of financial year sales time.